Whether you’re a dog owner and have some hardwood flooring in your home, or you run a dog parlor, boarding kennel or doggy daycare facility, we don’t need to tell you how hard it is to keep hard floors free from hair. And if you want to find the best broom for dog hair on hardwood floors you’re in the right place. So why a broom rather than a vacuum cleaner? Not all general-purpose vacuum cleaners are great at cleaning hardwood floors – even some of the more expensive ones struggle on a hardwood floor. There are low cost vacuum cleaners that work extremely well on hardwood or bare floors but if you’ve only got one or two rooms with this type of flooring it’s hardly worth buying a vacuum cleaner just for that. Sometimes a quick brush is much easier than getting the vacuum cleaner out. But of course, you need a broom that is effective. So, here are our top 5 recommendations. All of which are safe to use on whatever type of hardwood flooring you have – including maple, cherry, mahogany and bamboo that require extra care. Described by some as the broom that will change your life the Furemover Broom with Squeegee is made from 100% natural rubber that grabs, and hangs onto, pet hair like a magnet. This broom sweeps up dog, cat and human hair and even bits of sand, twigs, leaves and whatever else the cat (literally) drags in. There are so many things to love about the Furemover broom. The handle is extendable, it’s easy to use and small enough to store. 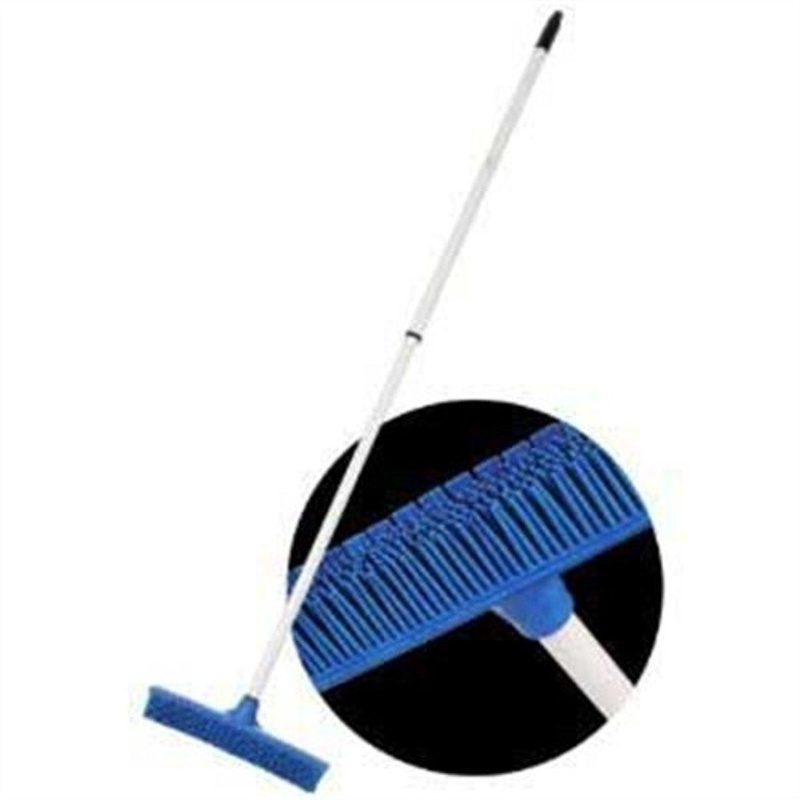 The rubber bristles, while able to attract dust, dirt, and hair, are super easy to clean and it has a squeegee to mop up any spills. There are no working parts so it can’t break (however it can be chewed if Fido gets hold of it), it’ll last for a very long time and it’s affordable. As far as we’re concerned, out of 10, the Furemover broom and squeegee gets at least a 12, it’s that good. If you’re ‘fur-ever’ battling with your pet’s shedding it’s worth trying out the Pet Buddies PB5579 FurStatic Pet Hair Broom. In fact, it worked so well we renamed it the FurTastic Pet Hair Broom. The bristles are almost rake-like, which is why it works so well on hardwood floors, tiled and vinyl floors as well as carpets. Unlike some brooms, the pet hair doesn’t actually stick to the bristles, instead, it sweeps the dirt and fur into neat little bundles which you then sweep into a dustpan. If you have a rug you might have to first rake it and then use a vacuum but if you’re only dealing with hardwood floors then the Pet Buddies FurStatic Pet Hair Broom does a brilliant job, leaving your floors clean and pet hair free. We tried it, we tested it and we loved it. 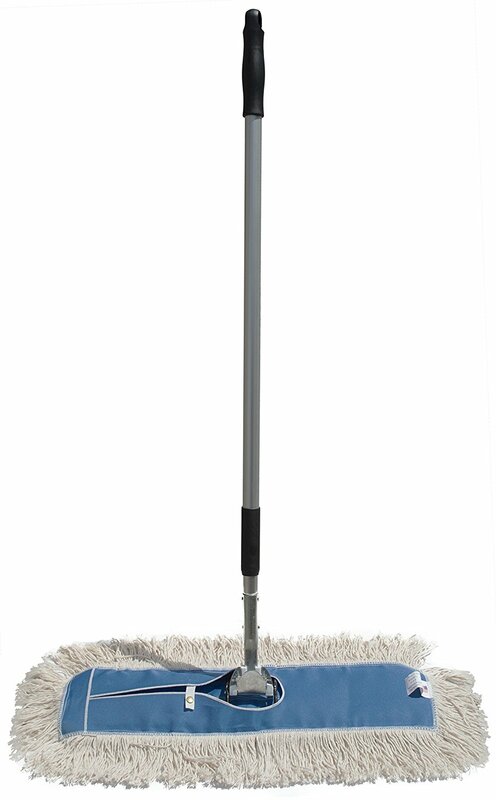 The 18” Professional Microfiber Mop with a stainless steel handle cleans up pet hair along with dust and dirt you didn’t even know was on your floors. The telescopichandle adjusts from 4 to 6 feet, which meansit’s suited to short and tall people, without causing any backaches or pains and the mop surface is a good size too, reducing cleaning time by as much as half. But doesn’t a mop smell after a while you ask? Most do, but not this one – the mop heads are machine washable, and because of the velcro attachment they’re easy to take off and replace. The Bissell Hardwood Floor Broom is a definite favorite, especially for hardwood flooring (hence the name, I suppose). Looks can be deceiving, especially with this broom. While it doesn’t necessarily look like a top performing cleaner, there are some clever details that make it a very popular choice. For example, it has a collapsible handle for storing, jointed handles to get into those hard-to-reach places, and a circular end should you want to hang it. The soft horse hair bristles are incredibly gentle on hardwood and bamboo floors and it cleans everything: dust, mud, dog treat crumbs, fur, and hair. 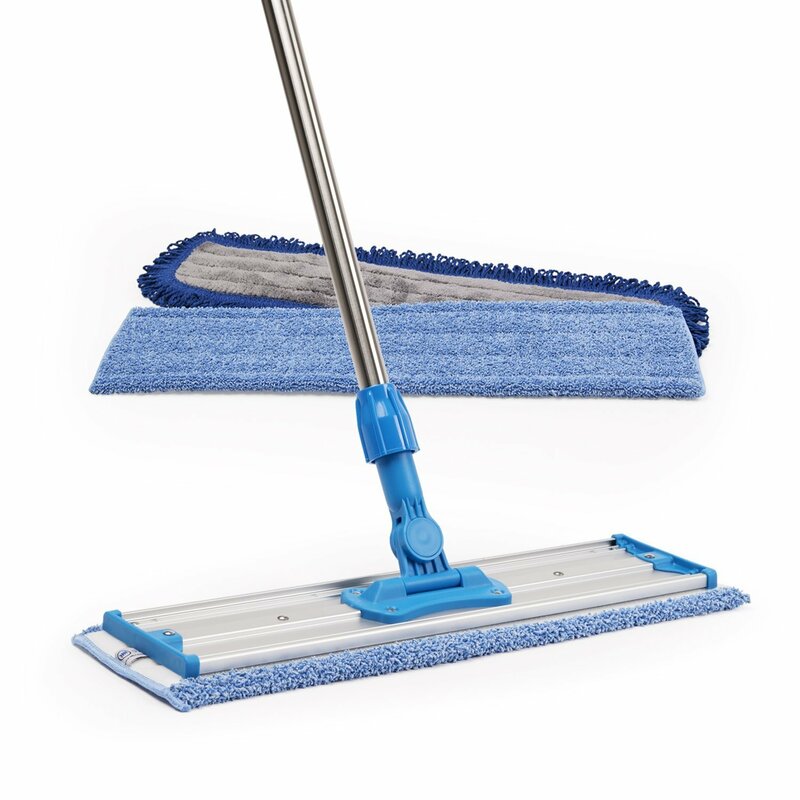 The Nine Forty Industrial Strength Ultimate Cotton Dust Mop is like the Chuck Norris of mops. Built for industrial sized floors, this particular one has been scaled down for homes, offices, and salons. It’s ideal if you have large areas of hardwood flooring and want to get the cleaning done quickly and effectively. 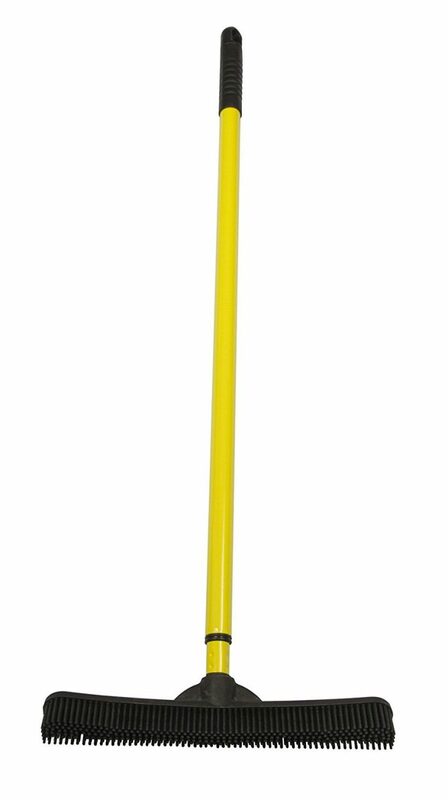 The 24” mop head can be removed should you need to clean it and the telescopic handle extends from 42” to 72”. It’s a beast of a mop and while it’s slightly higher priced than some of the other brooms and mops featured on our list, it’s a great investment. 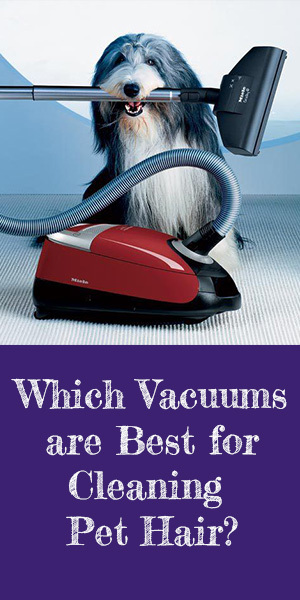 So there you have it, my top 5 broomchoices for cleaning up dog hair on hardwood floors. There are so many advantages to owning a good quality broom for quick clean ups, spills, and day-to-day cleaning versus having to pull out the vacuum cleaner every 5 minutes. Hopefully, you’re able to find one that suits your needs and your budget. We always love hearing from you so let us know if your favorite broom made our top 5.